Made from natural sandalwood, this lightweight yet durable Tibetan-style mala is designed specially for little hands. Ideal as a child’s first mala. 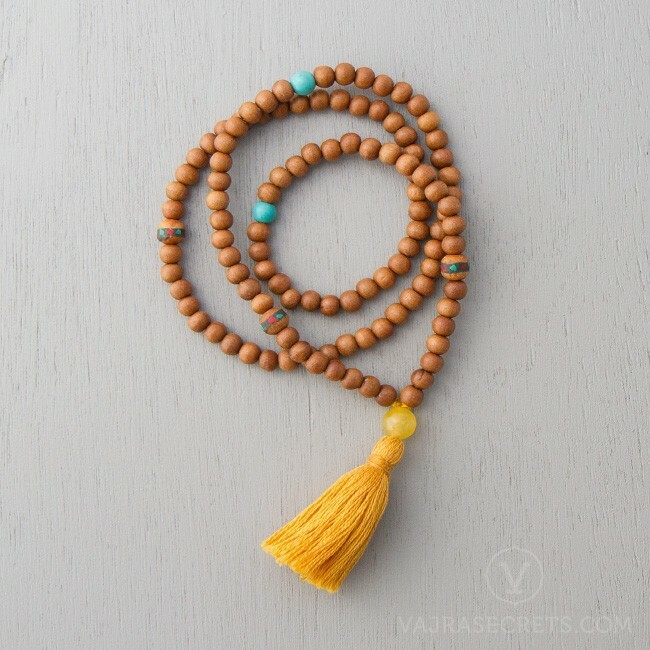 This Tibetan-style mala features 108 natural sandalwood beads with inlaid wooden beads at the 7th position and turquoise markers at the 21st position. 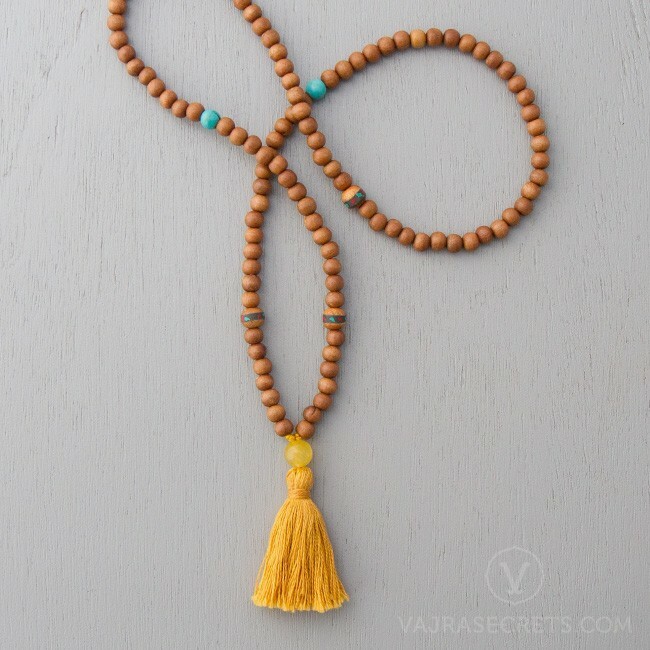 A yellow aventurine (quartz) Guru bead and mustard tassel complete this beautiful mala. The gentle scent of sandalwood induces a calm and meditative state, attracts positive energies, and promotes tranquility and clear perception. The lasting fragrance improves with age and usage, and is said to have healing and immune-boosting properties. This lightweight yet durable mala is designed specially for little hands, perfect for the tiny devotee's first steps along the Dharma path. It can be worn around the neck or wrist when not in use. Keep one in the car to keep the young practitioner occupied on long road trips.